Flyweight newcomer, Ashlynn Paige Kleinbeck makes her pro debut at Invicta 33. This is the 3rd attempt for her to face Chantel “Killa” Coates. Their bout in September at Invicta 31 was canceled because Kleinbeck suffered from an appendicitis. Invicta FC 33 takes place from the historic Scottish Rite Temple in Kansas City on December 15th 2018. The night’s opening bout between Kleinbeck and Coates will be simulcast on Facebook and UFC Fight Pass. 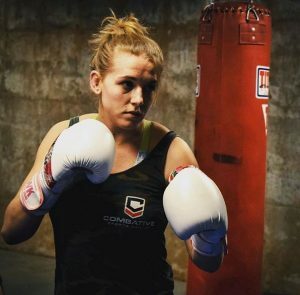 Get to know Ashlynn in this latest episode of the Evolve WMMA podcast.